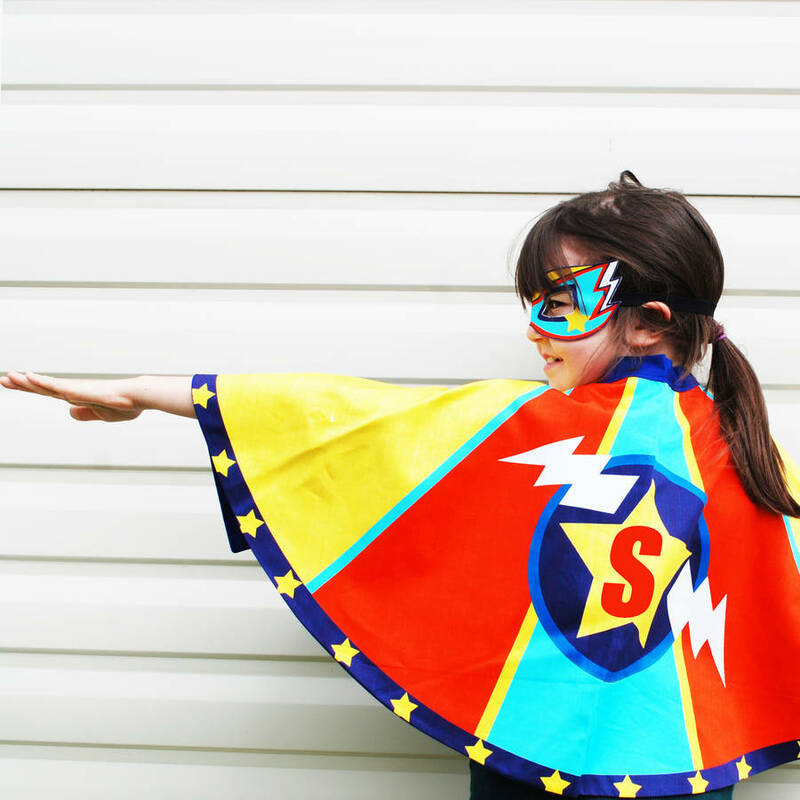 This personalised superhero cape makes a perfect instant fancty dress outfit. 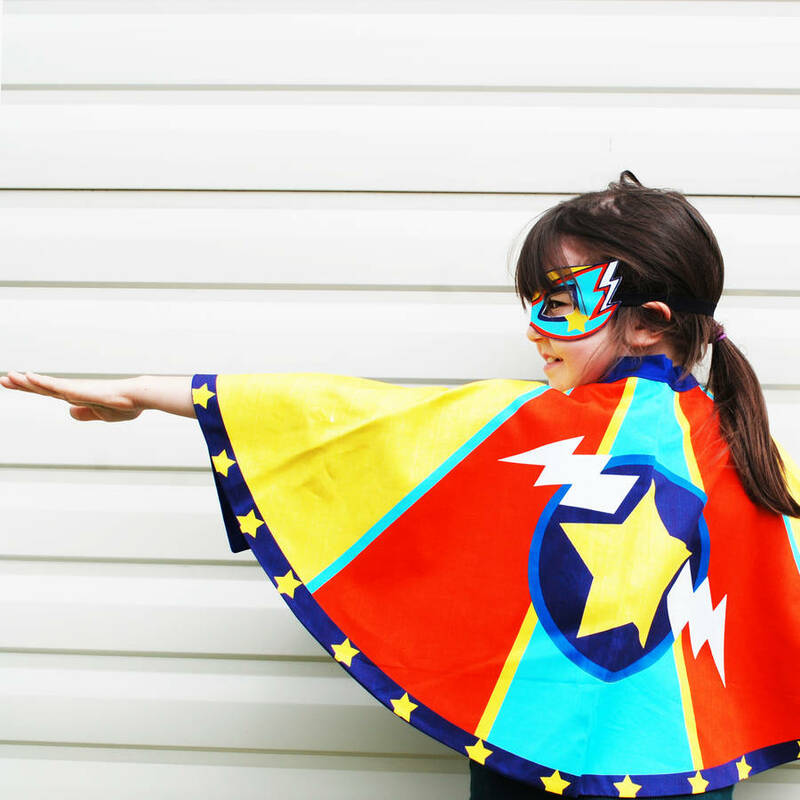 Think Evel Knievel meets Wonder Woman and let their super powers and imagination begin ! 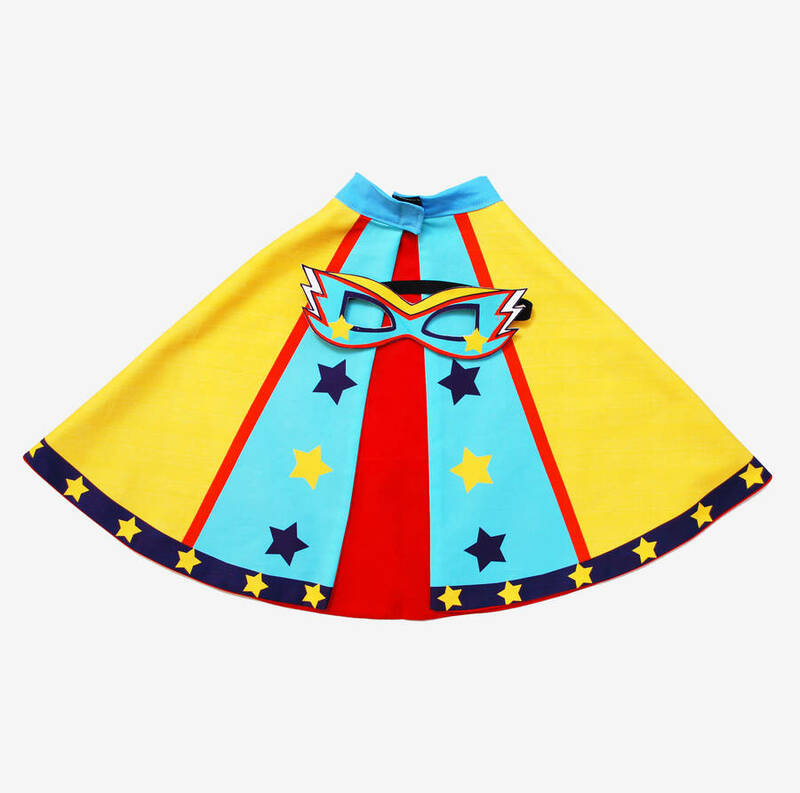 Each super hero cape is digitally printed here in the UK from high quality fabric in small quantities. 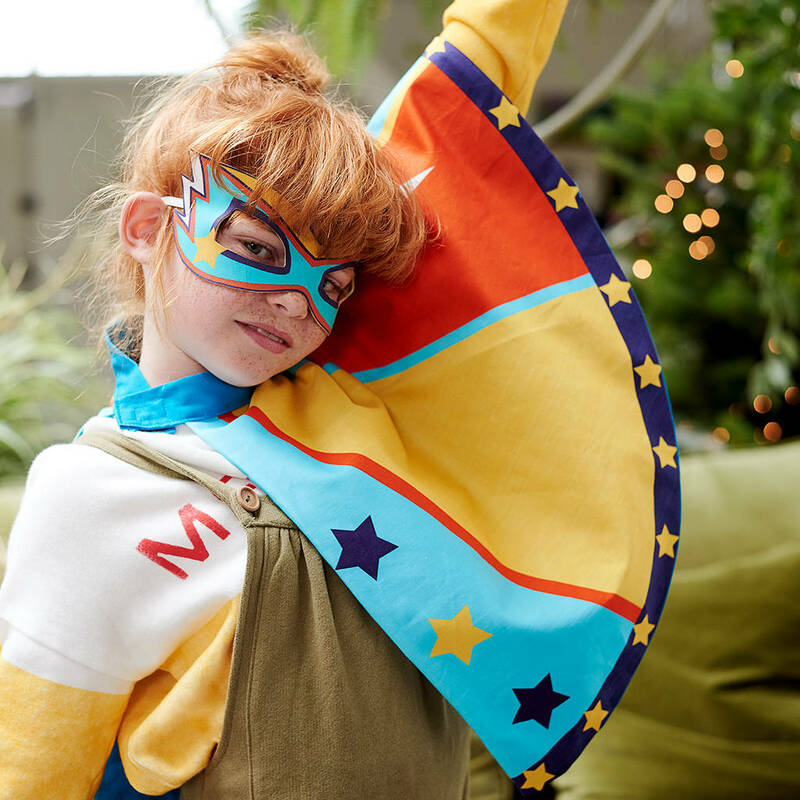 Fully lined in matching cotton, and fastens gently with a velcro fastening. Each cape comes with a matching handmade head piece or mask,secured with soft elastic. 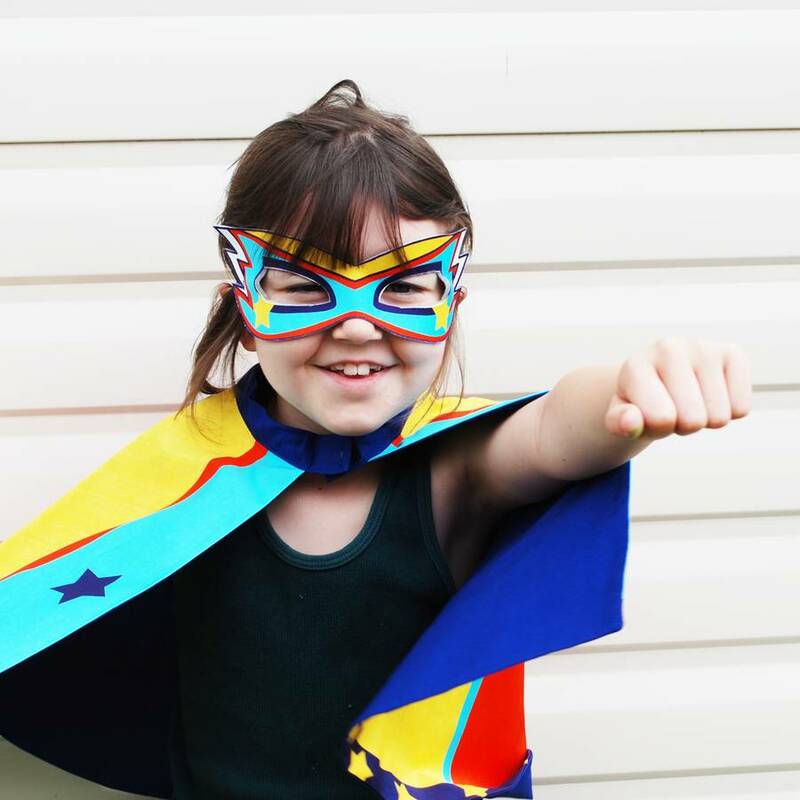 add optional tattoos to compmete a perfect gift for yiur wild thing! Please note lining colour may vary. One size fits 1yrs to 9yrs.